This is a quick desktop reference for both new and experienced Dreamweaver developers. It covers everything from the basics to advanced topics, including navigation bars, image maps, modifications with XML, style sheets, positioning elements, HTML cleanup tools, and ways to extend Dreamweaver functions and functionality. 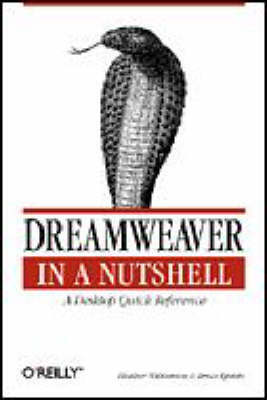 The book's quick style and compact format make it indispensable for web site professionals who use Dreamweaver daily.